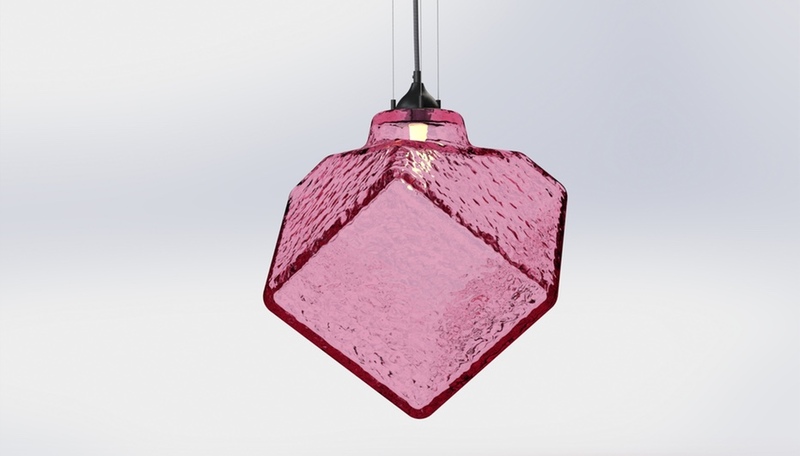 A sublimely simple light, an homage to a German astronomer and a solar sail-inspired pendant were recognized for with 2018 AZ Awards of Merit in Lighting Fixtures. 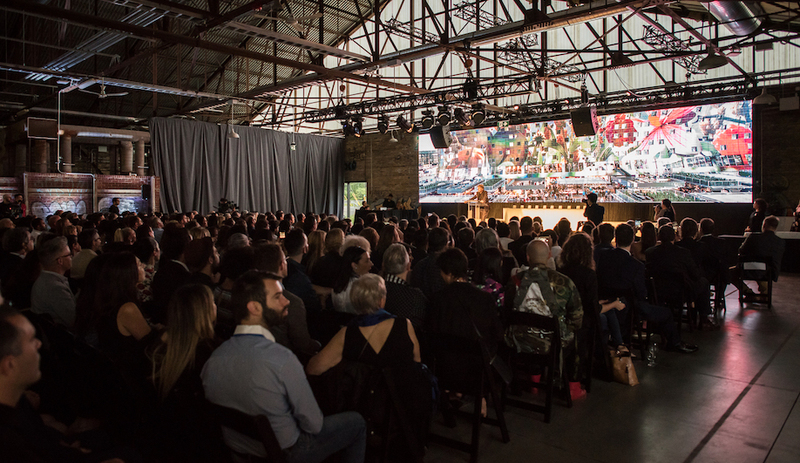 The ultimate testament to beautifully resolved design occurs when spectators simply gape and ask “How?” Highwire’s form consists of nothing more than individually weighted, double-sided discs strung on cables, which are in turn pulled taut. 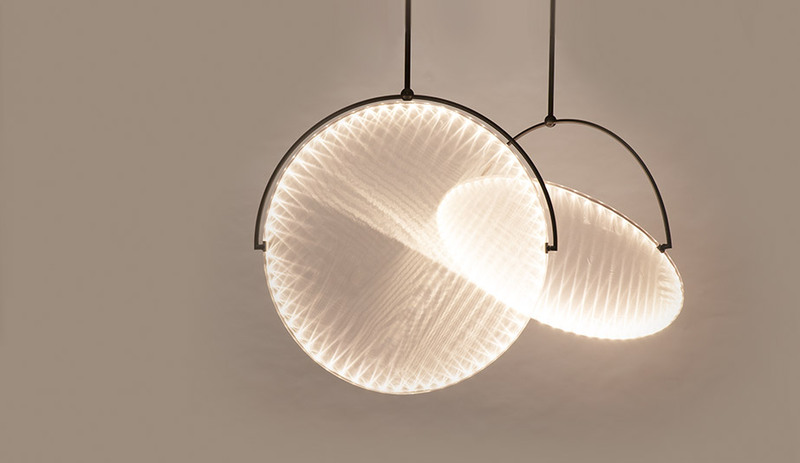 The result looks a little bit like a glowing yo-yo frozen mid-trick – a perfect laser-cut Plexiglas circle illuminated by dimmable LEDs and suspended in midair, with no visible means of securing itself to its cables or even of connecting to a power source. Up to five machined-aluminum housings can be strung together in sequence, making for strikingly graphic compositions that dazzle with their sublime simplicity. Product: Kepler Designer: Cohda, U.K. Manufacturer: Innermost, U.K. The gentle glow from Kepler’s floating translucent circles seems to come from nowhere. 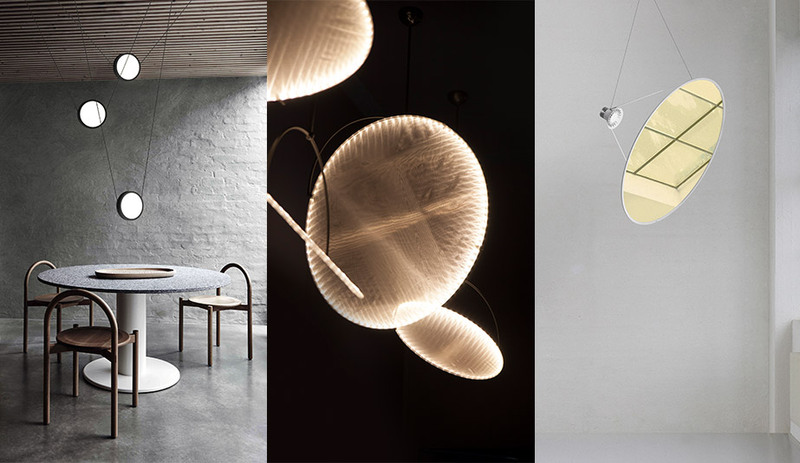 The suspension lamp’s wide, luminous discs, suspended like pivoting makeup mirrors inside a slim metal frame, are finished with two sheets of silk-like micro-weave fabric pulled as tight as the skin of a drum. Light from a hidden ring of LEDs bounces back and forth between these two surfaces and multiplies across them for an effect that mimics a tunnel of light extending through space. (Hence the fixture’s name, an homage to the German astronomer who described a supernova in 1604.) It may sound scientific, but the look is pure magic. 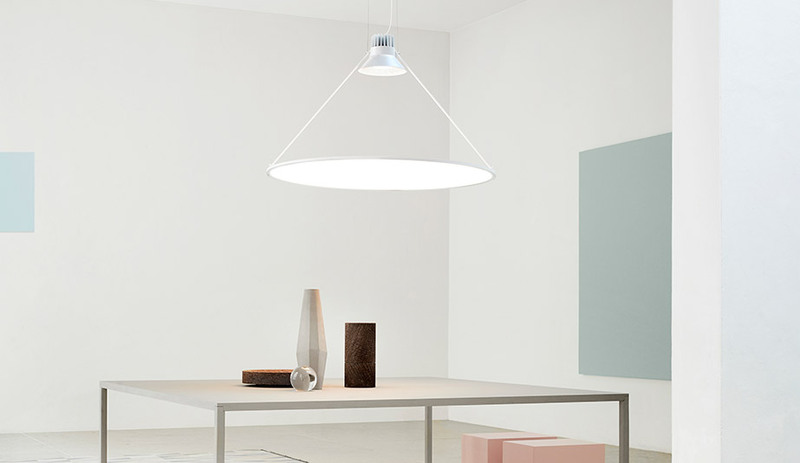 Floating like a satellite, Daniel Rybakken’s Amisol is designed to fill the maximum amount of space with a minimum of hardware, making for a bold statement light that’s easy to handle. Held in place with thin aluminum rods, its ultra-high-powered light source beams directly onto a translucent white or mirrored membrane spanning a circular aluminum frame, which diffuses or reflects the light back into the room – a configuration that mimics the science-fiction concept of a solar sail. 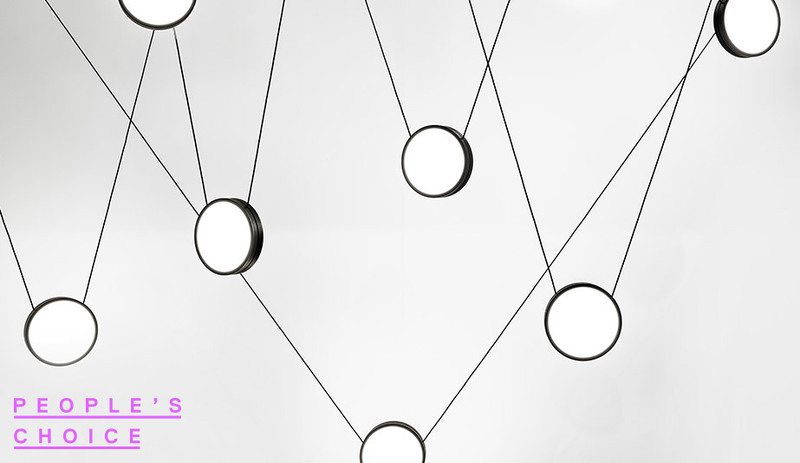 The wires from which the entire armature hangs can be adjusted in both length and connection points, letting Amisol rotate to direct light where it’s needed.